The paranoid Aspie is often hypersensitive and easily slighted. He often thinks he is in danger and looks for threats of that danger, not appreciating other evidence. He tends to be guarded and suspicious and has quite a constricted emotional life. His reduced capacity for meaningful emotional involvement and the general pattern of withdrawal often lend a quality of isolation to his life experience. "You made an excellent illustration of what I call my 'Assholeperger's Syndrome'. Usually I can realize that I have made a big mistake but it may be long after everyone involved has moved on. It is really hard for me to know what to do when this happens so I usually find myself just avoiding that person." While it is fairly normal for everyone to have some degree of paranoia about certain situations in their lives (e.g., worry about an impending set of layoffs at work), the paranoid Aspie takes this to an extreme. It pervades nearly every professional and personal relationship she has. The Aspie who is prone to paranoid thinking is generally difficult to get along with and often has problems with close relationships. Her excessive suspiciousness and hostility may be expressed in argumentativeness, recurrent complaining, or by quiet yet hostile aloofness. Because she is usually expecting to be slighted by others, she may act in a guarded, secretive, or devious manner and appear to be "cold" and lacking in tender feelings. Although she may appear to be objective, rational, and unemotional, she more often displays a hostile, stubborn, and sarcastic attitude. Her combative and suspicious nature often elicits a hostile response in others, which then serves to confirm her original expectations. Because the paranoid Aspie lacks trust in others, he has an excessive need to have a high degree of control over his environment and those around him. He is often rigid, critical of others, and unable to collaborate, and he has great difficulty accepting constructive criticism. 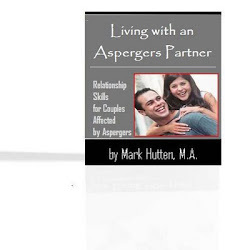 Because of reduced levels of trust, there can be challenges in treating this Aspergers adult. However, psychotherapy, antidepressants, and anti-anxiety medications can play a role when the man or woman is receptive to intervention. If suspicions are interfering with your relationships or work, please watch the video above. Julie states: "I usually don't retaliate but I do remember what I thought their intent was. I then look for other examples in conversations we've had and conversations in future. It all adds up to me putting distance between me and that person and further conversations with them."